Fricke & Associates, P.C. provides financial statement audits for a variety of commercial businesses including: contractors, technology companies, start-ups, family businesses and other companies throughout the Atlanta metropolitan area. 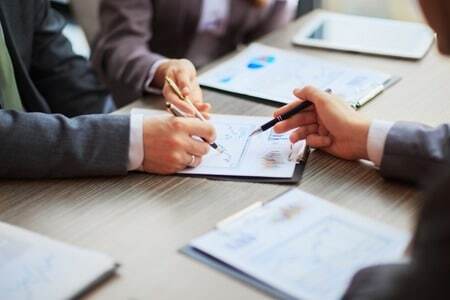 Our experienced CPA professionals provide an in-depth examination of financial information for use by management, investors, lenders and bonding companies. As a top Atlanta accounting firm, Fricke & Associates, P.C. understands that your need for financial statement audits may be driven by third parties, or perhaps you see it as a key component of a business succession plan or best practice in relation to maintaining strong financial controls. Whatever the reason, we have the experience and understanding to provide this service. Our core job as auditors is to provide reasonable assurance that the financial statements are presented fairly, in all material respects, in accordance with the Generally Accepted Accounting Principles (GAAP). This involves planning the audit to determine the amount, timing and extent of audit procedures and determining that we have sufficient evidence to support our opinion. What makes our audit approach unique is our perspective, service and quality. The audit is undertaken with detailed, agreed-upon expectations to which management and the engagement team are equally committed. These commitments thread through every aspect of the way we conduct and manage an audit, enabling the engagement team to utilize resources in the most efficient way that provides consistent value-added audit services. We seek to better the organizations we serve through our long-term professional relationship and our audit process. We gain an up-close knowledge of your organization and add value through insights into your financial results and identifying areas for improvement in your operations and controls.